Aromatherapy is the holistic therapeutic application of genuine essential oils for enhancing the physical, emotional, mental and spiritual health of the individual. 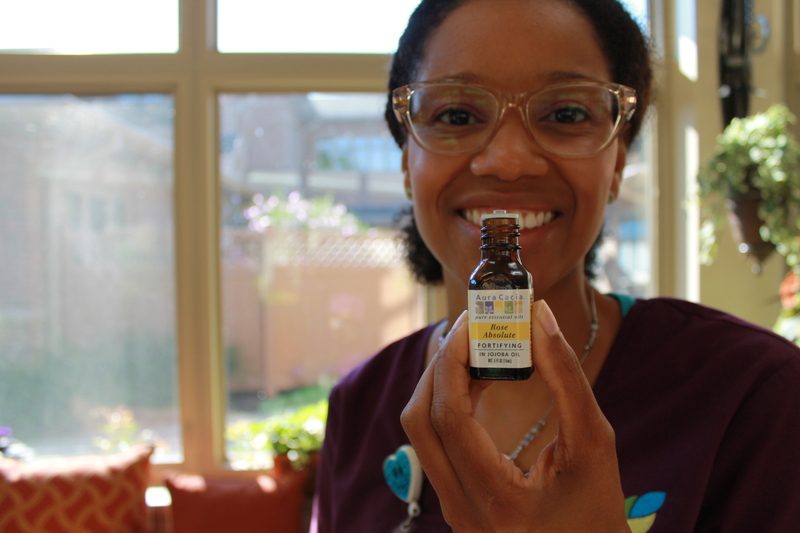 Aromatherapy stimulates the body’s own natural healing abilities, encompasses the whole person, and is individualized for each patient. Essential oils are used for inhalation to reduce anxiety, encourage sleep or relaxation, ease nausea, improve mood and increase a sense of well being. Star Gazing uses laser star projectors provides a non-pharmacological solution to anxiety and agitation often experienced by patients. Imagine lying back in your recliner on a warm summer evening looking up at a beautiful night sky filled with stars – the galaxy with its pinpoints of brilliance is immense before you. 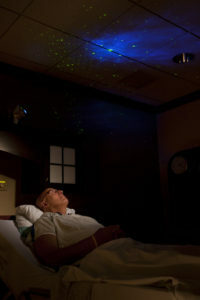 Laser Star Projectors are used as adjuncts to conventional medicine. 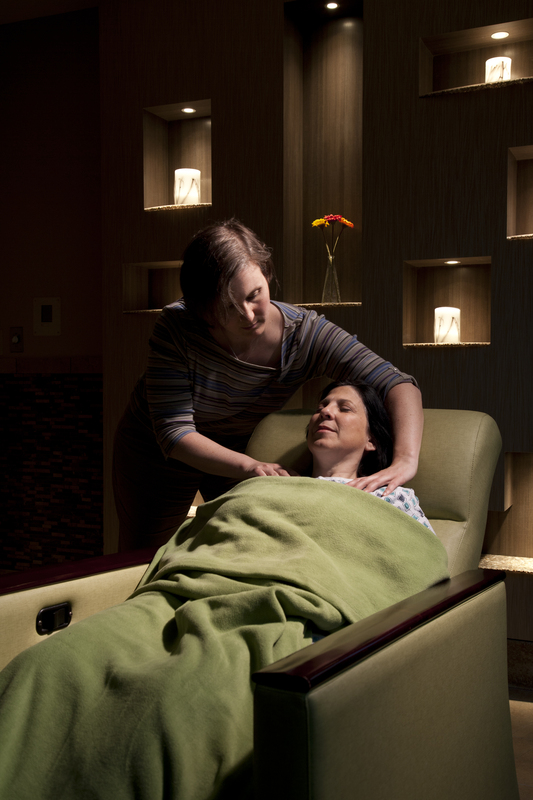 Our research has demonstrated patients experience a reduction in terminal agitation, anxiety and restlessness – and a reduced need for medication – as a result of star gazing therapy. Massage Therapy provides comfort and relaxation, but more importantly, is proven to ease symptoms including pain, anxiety, sleep disorders, depression, stress, nausea and fatigue. 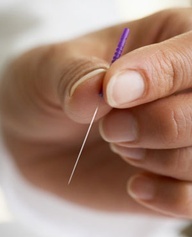 Acupuncture, an ancient Chinese treatment modality, alleviates conditions such as shortness of breath, nausea and vomiting, pain, and mouth dryness. Cardiocom is a device for telehealth monitoring, using technology to monitor patient changes in blood pressure, respiration and other symptoms. 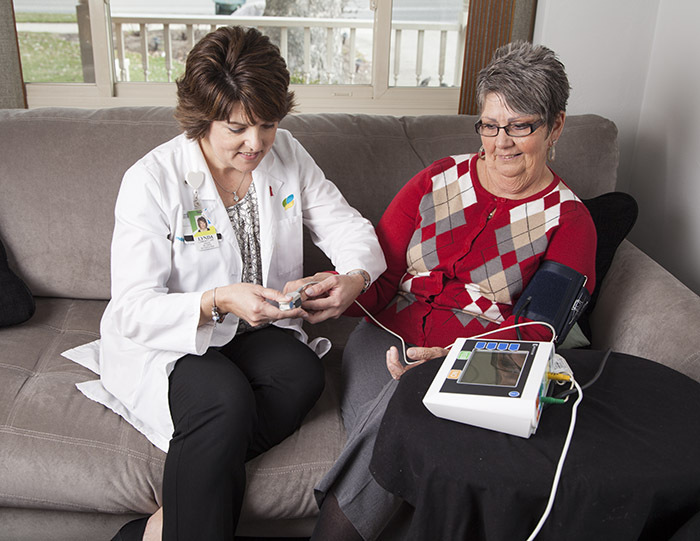 Early recognition of new symptoms enables caregivers to quickly address them and avoid unnecessary hospitalizations and emergency room visits.